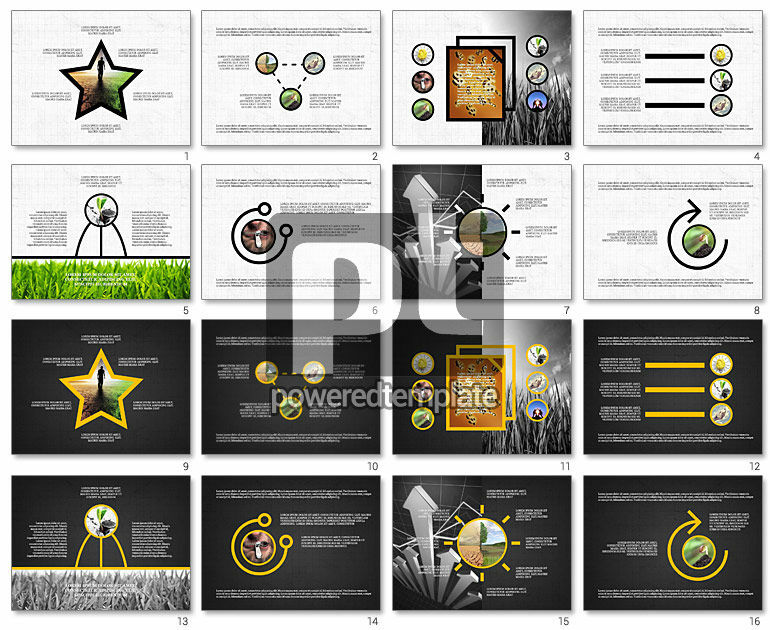 These presentation slides 51270 are complete compatible with Google Slides. Simple download PPTX and open the template in Google Slides. Photo collage could be various and this presentation is one more confirmation of this statement. Your photo can be putted in star frame, a circle, a square and have informative signatures with descriptions of the place where it was done, people who are there, and connection that is between pics or people. You may use it for family tree making.